The Galley is not just a sink. It’s a central work station hub where many tasks can be accomplished. It's a cleverly-designed system that greatly maximizes the functionality of a limited footprint. 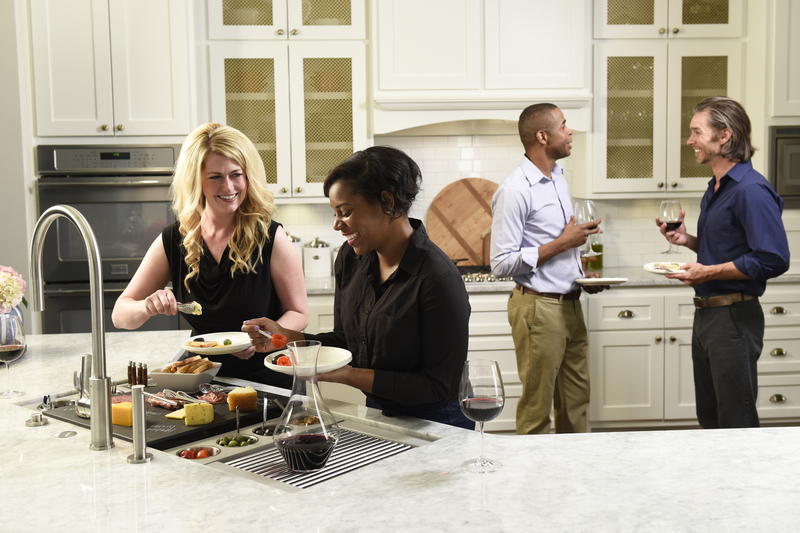 You can prep, cook, serve, entertain and clean up all at one location, because the work stations have interchangeable accessories on two levels that allow multiple functions to be performed there. 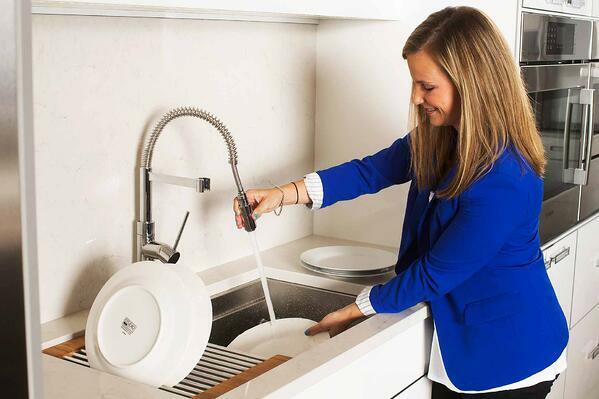 Because the sink is becoming more than just the place where you wash the dishes, it changes how we think about it. 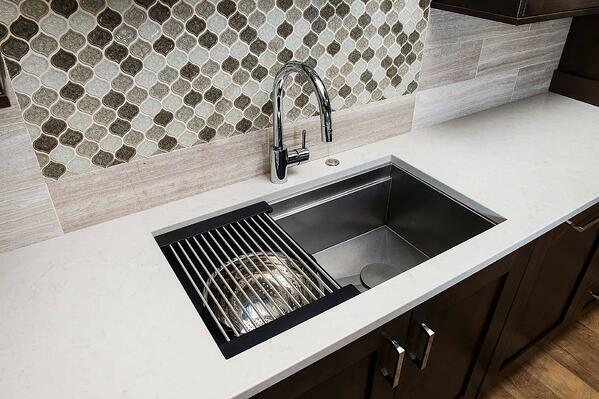 As the sink transforms into a “work station”, it effects how you use your kitchen, it becomes something really different. There are large work stations that are 7 or 8 feet long. Some have two faucets, and are intended for two people to use at once. Then there are smaller ones, such as a 4’ one, that will fit in just about anyone’s kitchen. 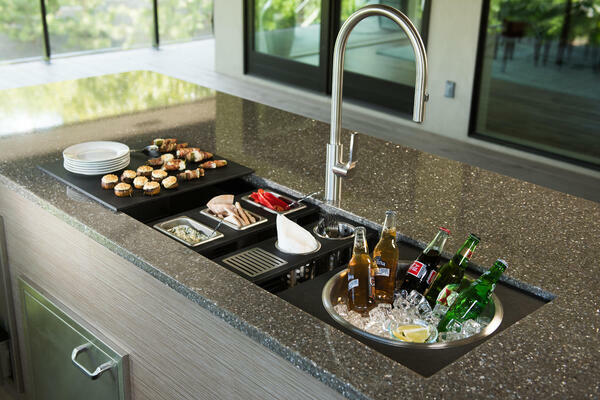 But regardless of which size you choose, these products transform your kitchen sink into the ultimate experience! 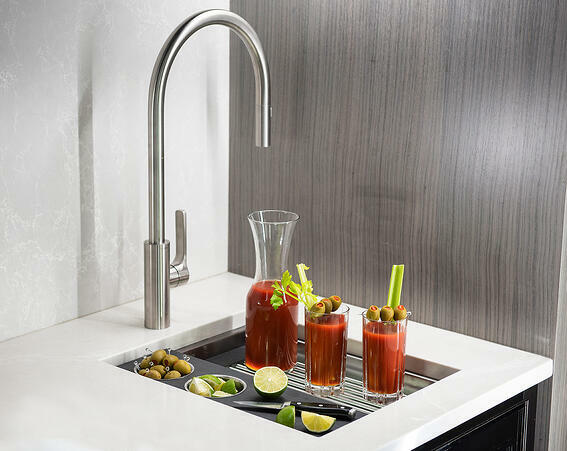 The Galley also offers single or double beautiful tall faucets, "Galley Taps", to perfectly compliment the work stations with an elegant, functional pullout with a machined stainless steel finish. The Galley workstation was an innovation created by a kitchen designer, Roger Shollmier, who really understood how kitchens worked (or didn’t work). Roger says his creation of the original Galley Workstation “completed” his view of the perfect kitchen design, one that brings families and friends together around a central “hub” focal point in the kitchen. 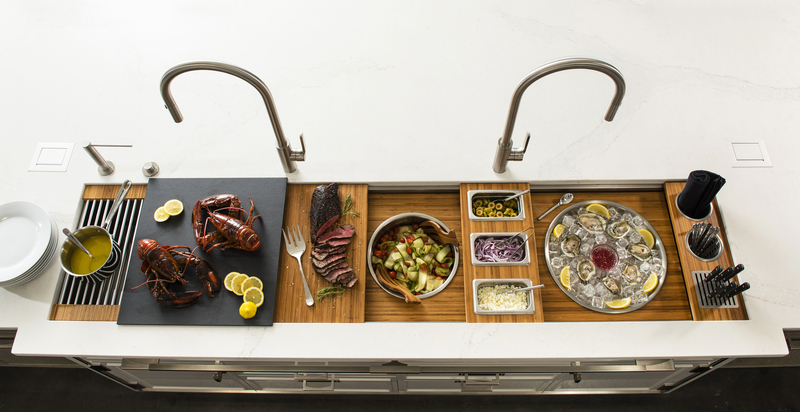 By changing the sink into something larger, and adding accessories that you can quickly change in and out, the Galley work station truly does become the centerpiece of your kitchen. 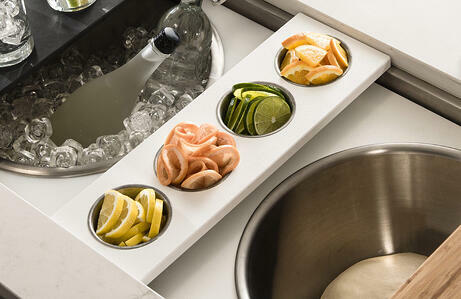 The workstation comes in a variety of sizes and layouts making it perfect for just about every one's kitchen. Here are some of the different choices. 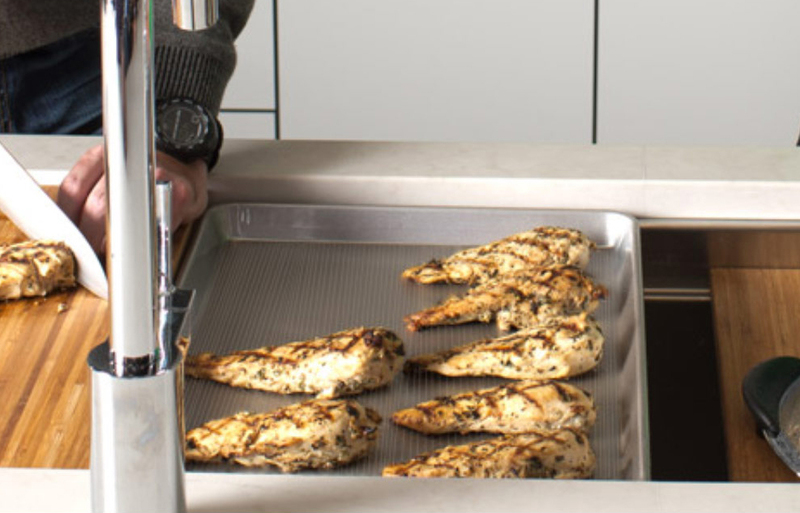 The Galley Ideal Workstation 7 or IWS 7 is the largest of the line being a 1-3 person foot prep or dish cleaning layout. It’s 7 feet long! 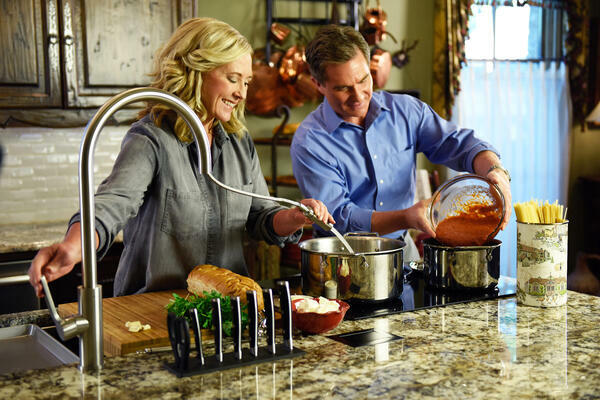 The setup is sold with an 11-piece culinary set that includes.....There are more than ten additional accessories that can be used with any of the work stations that allow them to be tailored to your needs. This one is shown with environmentally friendly bamboo accessories. The Workstation come in 7,6,5,4,3 and 2' long. The ideal Workstation 4 is three feet shorter than the top of the line IWS 7 . This mid-range workstation is perfect for smaller families. This entry level workstation is much more affordable and so is well suited to a family who wants to include a Galley sink but who isn't trying to splurge on the top-of-line model, or who doesn’t have room for a 7’ sink. The IWS 4 comes with two choice starter setups of accessories with many add-ons possible down the road. This 36" work station fits in anyone's kitchen. It is the same length as a normal sink, but that is where the similarities end! TheBarStation or IBS 18 is the smallest option in The Galley line up. The beauty of The Galley Workstations is their ability to be fully customized both when you order and after they have been installed. 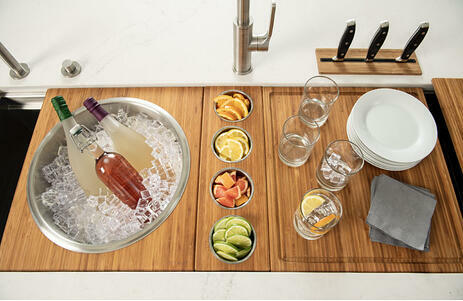 You can add everything from a serving set to half sheet cooking pan to a garnish board. They are available in multiple colors, including black white and grey resins, and bamboo. Check these out! 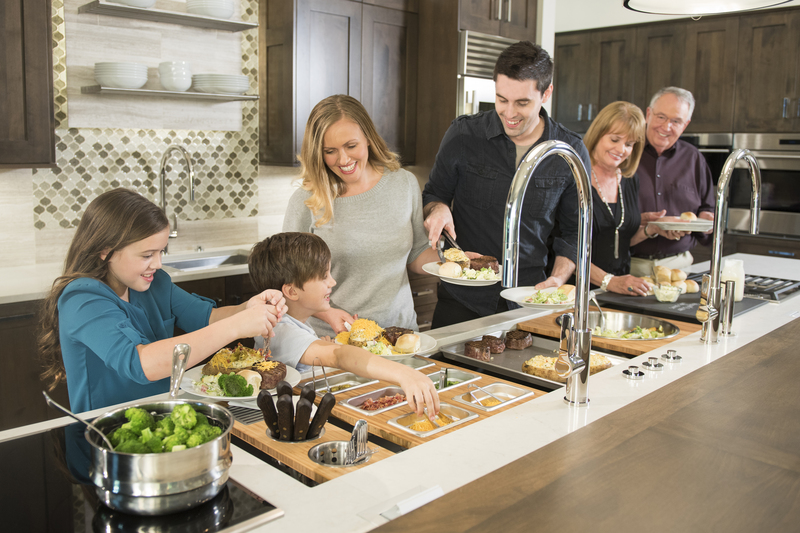 You can turn your kitchen's centerpiece into a serving table and then to a dishwashing station all with a quick change of the accessories! 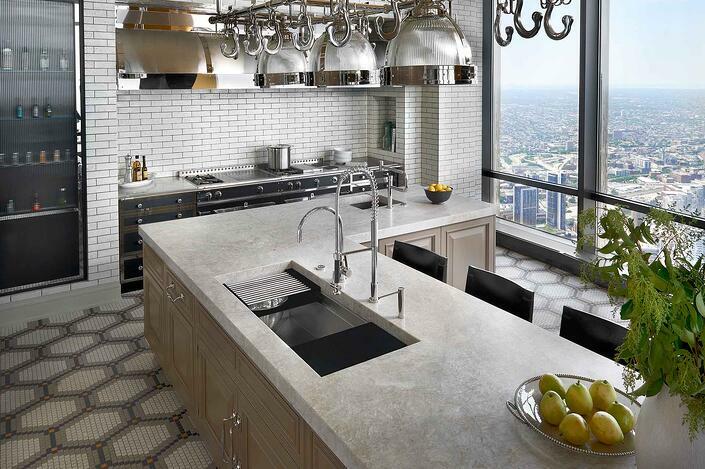 The Galley Workstations are truly remarkable!